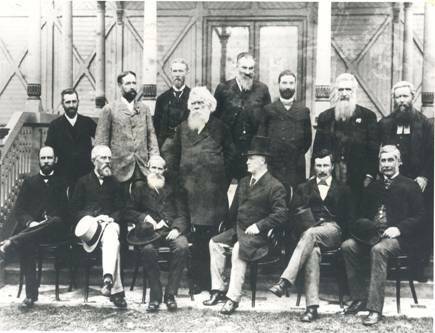 The 1901 Constitution establishes the framework of the main political institutions – legislature, executive and judicature – the relationships between them, and the powers of the Federal Parliament in relation to the States. Technically, it is an act of the British Parliament passed in 1900. The Australia Act in 1986 was designed to sever colonial rule over Australia by Great Britain. However, as this Act was never ratified by the people voting in a referendum, as is required to amend the Constitution, all Acts and Laws since then are technically illegal. Literally – Some sections must be followed exactly as stated. Conventionally – or through constitutional conventions that put power into the hands of elected politicians to act…ideally, they should act as true representatives of the people, but we have seen the political parties usurp that role instead, and ignore Constitutional law. The Australian Constitution is an Act of the British Parliament. The Australian Constitution actually starts at Section 9 and is called, “An Act to Constitute the Commonwealth of Australia”. The first 8 sections were designed to establish that the six British colonies in Australia agreed to unite in a federal commonwealth. The new system of government that the constitution laid out was not imposed on the Australian people by the British Parliament. However, even though the Australia Act was passed by Parliament, it was never ratified by a referendum of the people. In effect, the Australia Act sought to change the status of our nation without a Constitutional amendment.So where does this leave us legally? The answer is confusing. According to a high court of Australia ruling in Sue V Hill 1999 HCA 30 ruled, “At the very least, the Commonwealth of Australia was transformed into a sovereign, independent nation with the enactment of the Australia acts. The consequence of that transformation is that the United Kingdom is now a foreign power for the purposes of s44 (i) of the constitution”. Despite this, Australian governments refer to the “Queen of Australia”. Yet we do not have a Queen. So, who is she? This chapter establishes the Commonwealth Parliament as the Legislative Branch of government. Part 1 establishes its legislative power in Australia and provides for a Governor-General, representing the Queen, with power to summon Parliament. Part 2 provides for the composition and election of the Senate, and the filling of Senate vacancies. 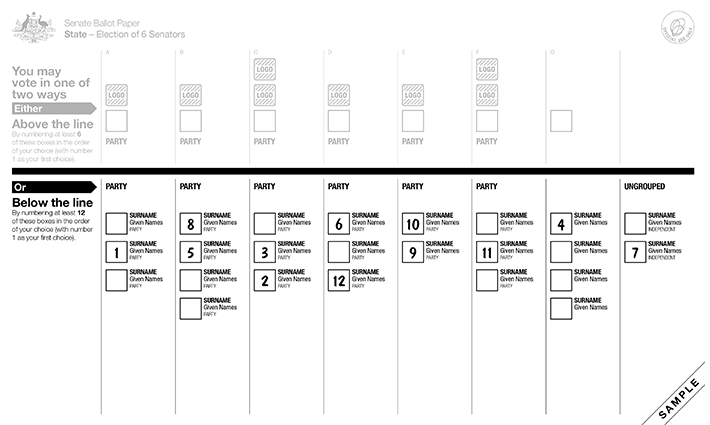 It details quorums, voting arrangements and the procedure for election of a President of the Senate. Part 3 provides for the composition and election of the House of Representatives and the filling of House vacancies. It details quorums, voting arrangements and the procedure for election of a Speaker of the House of Representatives. Part 4 deals with matters applicable to both houses of Parliament, particularly the qualification of members and the privileges of the Parliament. Part 5 deals with the powers of the Parliament and provides a list of 40 paragraphs of specific powers. This part also deals with the joint powers of the houses and the means of resolving disagreements between the houses. This chapter deals with the Executive Government, the branch of government which carries out and enforces the laws. It provides for the exercise of executive power by the Governor-General advised by an Executive Council. Section 64 stipulates that Ministers are to be Members of Parliament, the only section of the Constitution that refers to the system of Responsible Government. This chapter provides for the establishment of the Judicature, the branch of government dealing with the courts of law. Section 71 provides that the judicial power of the Commonwealth is vested in the High Court of Australia and other federal courts established by the Parliament. Other sections deal with the appointment, tenure and removal from office of judges of the High Court and other courts. Section 76 gives power to the Parliament to determine the jurisdiction of the High Court. This chapter deals with finance and trade. One of the most important sections is Section 83 which provides that no money is to be drawn from the Treasury except under an appropriation by law. Other sections deal with customs duties, requiring that they be uniform throughout the Commonwealth. Section 92 requires that trade and commerce among the states shall be absolutely free – in other words, no state may impose a tax or customs duty on goods being imported from another state. Section 96 empowers the Commonwealth Parliament to grant financial assistance to the States. 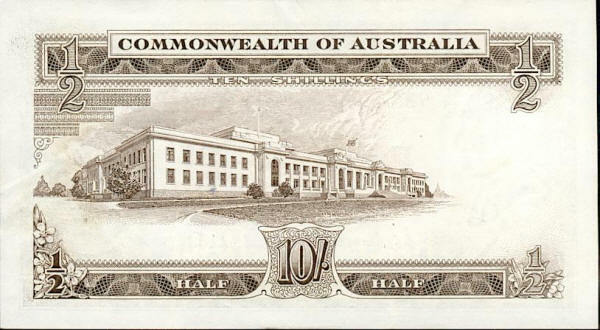 Section 105A, inserted by referendum in 1929, deals with the taking over by the Commonwealth of States’ debts. This chapter deals with the States, providing for the continuance of their constitutions, parliamentary powers and laws. Section 109 provides for Commonwealth law to prevail over State law, but only in those cases where State law is inconsistent with Commonwealth law. Other sections prohibit the States from coining money, raising armed forces or discriminating against the residents of other States. This section also requires that the Commonwealth is to protect the states against invasion or domestic violence. This chapter deals with the procedures for the establishment of new States and provides for the surrender of territories to the Commonwealth by States. This Miscellaneous chapter has two sections, one dealing with the establishment of the seat of government, the other providing for the appointment of deputies of the Governor-General. Section 127, dealing with the counting of Aborigines in censuses, was deleted by referendum in 1967. Despite this, we see Aboriginal activists demanding recognition. Apparently, they don’t understand Section 127 that already does this. This chapters deals with Alteration of the Constitution. It provides that proposals for constitutional alteration be initiated by the Parliament and approved in a referendum by a majority of voters Australia-wide and a majority of voters in a majority of States. The Schedule attached to the Constitution contains the oath or affirmation to be taken by Members of Parliament before they take their seats. Note that there is no mention of a Prime Minister or the powers that should limit one. There is no mention of political parties or how they might be empowered to govern. The Constitution only lays out the structure of a government, but leaves the actual arrangements for setting up a government open. As a result, the political parties have designed a system that empowers them to act over us, to pass laws without our permission, to tax us without out consent. It’s no wonder our political system is in such a mess!